Come summers, and people look forward to the many mango varieties of the season. Mango lovers that we are, India ranks first in the global production of this so-called king of fruits, with figures reaching more than 15 million tonnes. Despite having a share of more than 40% in global production, the share in global export from India only reaches slightly over 5%. Reasons for this disparity includes huge wastage of the fruit during harvesting, packaging and its storage. Efforts to reduce this wastage through an understanding of how mango ripens and the associated bio-markers has been the subject of a recent study published in Nature Scientific Reports. 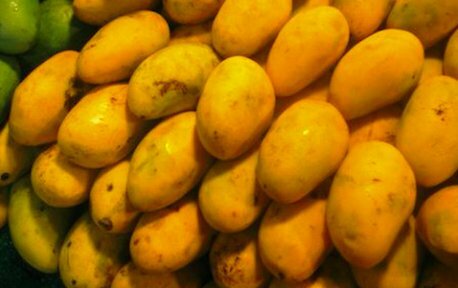 The researchers looked at the genes involved in the ripening of “Dashehari”, a popular variety of mango in North India. The study was conducted by a team of researchers led by Vidhu Sane from CSIR-National Botanical Research Institute, Lucknow. Sane and his team used bio-informatics assays to compare the expression levels of different genes in the unripe and mid ripe stages of Dashehari. Using sequencing analysis of the entire RNA of the fruit, known as transcriptome, the team obtained more than 44,000 genes unique to Dashehari. Delving deeper, Sane explains, “Every trait in a plant is determined by genes; the place and timing of their expression and the extent to which these are expressed. Both qualitative (gene sequence level) and quantitative (gene expression level) changes are responsible for the variations in different varieties of the plant”. This technique allowed them to verify the identity of genes that were most active during the different stages of fruit maturation. Among the genes that were differentially expressed at different ripening stages, many were found to be related to carbon metabolism, detoxification, plant hormone biosynthesis and degradation of certain types of amino acids. For example, genes involved in synthesis and signalling of the plant hormone ethylene were up-regulated in the ripened stage of Dashehari. So were the genes that help in modification of cell wall and softening of the pulp. In addition to this, the authors also obtained the identity of genes that were most prominently involved in changes related to fruit flavour and colour. The team hope that this study will enable manipulation of genes that are responsible for loss of quality in mangoes. Jelly formation in the centre of Dashehari poses a problem in export of this variety. “By crossing with varieties where the expression of these genes is reduced, one can develop varieties where jelly formation also decreases, thereby increasing the shelf life of the fruit” says Sane. He plans to study other mangos where excessive jelly formation doesn’t take place. Preliminary results show, for example, that some genes that expressed in Dashehari were different from those expressing in the “Kent” variety of mango. Identifying such genes would help the researchers in identifying ripening parameters such as aroma, flavour, fibre size etc. These can then used as biomarkers for maturation of fruit, flowering time and other ripening associated measures. Seasonal varieties like Alphonso, Banganpalli, Ratna, Langra, Kesar etc. can be selectively bred to introduce favourable traits from one mango into another. Sane explains, “The markers can help in quickly identifying which ones are the right crosses. This is important in mango, where fruiting takes a few years before you realise whether the mango is the right one or not”.